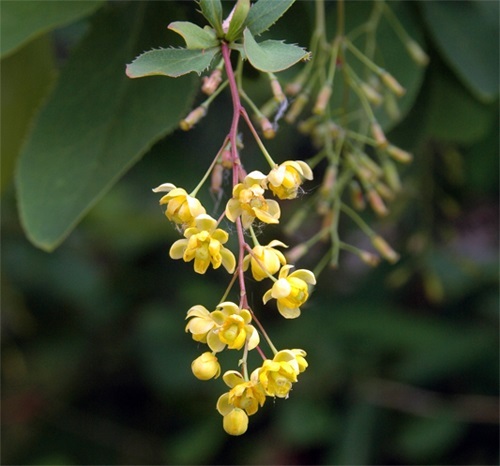 Common barberry originates from Europe and Asia and was introduced to North America as early as the 17th century. 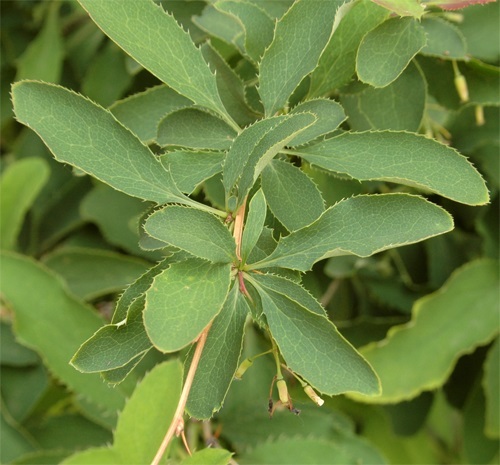 It has been used as a dye, in jam and as an ornamental shrub for hedgerows. It is legislated because it is a host for cereal stem rust and, as such, it poses a serious threat to cereal crops. When it escapes from cultivation it can invade wooded areas. Common barberry is an erect, deciduous shrub that grows up to 3 m tall. Its yellow flowers are arranged in 2-6 cm long drooping clusters and appear in early summer. 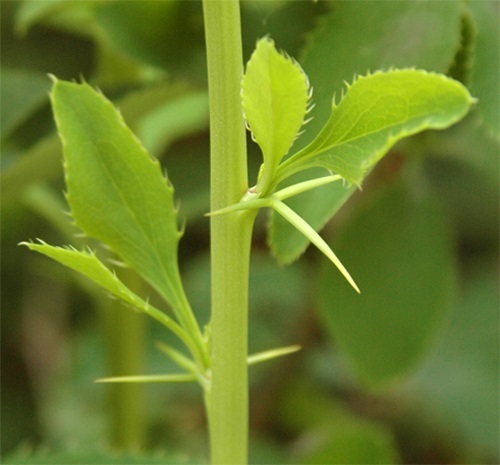 The simple leaves are a dull light green colour with toothed edges. The fruits are about 1 cm long red berries. Typically, this shrub has three pronged thorns.